Last week, I bought myself a new pillow. This pillow is so soft, it’s like sleeping on a cloud. It is the most comfortable pillow that I have ever laid my head on. I had never bought myself a pillow before. Before that moment in time, I had no idea how my pillows arrived in my life. Maybe I stole them from my father’s house, or borrowed them from my sisters. Maybe they magically appeared in my life without my being any the wiser. Pillow choosing would have been one of those activities that I found stressful. Overwhelming. As in, there are so many pillows in the world, how could I possibly know which one I wanted? And so I remained blissfully ignorant about my pillow-needs, because not choosing was easier than climbing the seemingly insurmountable mountain entailed in pillow research. However, I have had a knot behind my right shoulder since January 2009. At best it manifests as a dull ache and at worst it radiates pain up through my neck and down my right arm. It is a problem in my life, and I complain about it often to my loved ones. But I have not, until this moment, actively sought to find a solution or to heal my pain actively. Until this moment, I treated it as inescapable part of my life. I was operating as though I, Mara Glatzel, was a person who experiences pain in her shoulder. A person whose pillows “appear” in her life, because the prospect of seeking one out is too overwhelming. A person for whom injury is a natural part of daily life. When you think about your life, in this moment, what have you been avoiding? What have you been assuming is a natural part of your daily life – a part that is wholly unavoidable? Where are you choosing to be passive during your everyday, because the prospect of having to make a decision overwhelms you and keeps you uncomfortable? What have you been saying is a problem, without actively seeking a solution? Making the determination to purchase myself a fantastic pillow – the pillow that will let me sleep, relax my neck, and hopefully reduce my shoulder pain – was a choice that took me years to come to, but took only 15 minutes to order. The process looked like this: I admitted to myself that my shoulder pain was a problem, and that I was deserving of a pain-free life. I ran through the obstacles in my way. I choose the biggest obstacle – discomfort while sleeping – and addressed it by purchasing a new pillow. The process of actively participating in our lives is not the difficult part. It is difficult for many of us to remember that we are deserving of a solution to our pain. We assume incorrectly that everyone experiences their life the way that we do, and based in that decision, we determine that spending money or enlisting support merely to end our hurt is frivolous and insignificant in the scheme of things. We allow ourselves to suffer, because we think that at some point, our problems will take care of themselves. We assume that our eating will, at some point, naturally gravitate towards foods that nutritionally support us. Or that we will wake up one day wanting to exercise, after a period of inactivity. Or that our relationships will magically fix themselves if our partners would just ________. We assume that our lives will sort themselves out sooner or later. If I had not purchased a pillow – actively seeking out a pillow that I loved – I would not be resting my head upon it tonight when I go to sleep. If we do not make the active decision to dig our hands deep into our lives, take responsibility for ourselves, or decide to seek out a life that fills us to the brim with beauty and joy – we will not have it. That does not mean that it is difficult, because often it is heart wrenchingly beautiful, magical, and validating. This work is life-altering and exhilarating. We are deserving of a life that we have cultivated for ourselves, a life that is soft and beautiful and grounding. This is the layer beneath body image. This is how we commune with our spirit on a daily basis. This is self-reliance and self-trust. This is how we actively seek to meet our own needs, becoming the love that we seek from the world, and making our lives feel really good, every day. Not just on special occasions. My spirit seeks sleep that is deeply nourishing and restorative. Sleep that is safe-guarded against screen time, and is filled with spooning and snoring. Sleep that is supported by tools that I have carefully chosen, after making a determination about how to best fill my needs. My spirit was seeking a luxe pillow, and the process of acquiring one for myself. What is your spirit seeking? I’ve been having knee pain for years, and I recently broke down and bought a pair of orthotic inserts for my flat feet, and I’ve noticed a huge difference though I still can’t walk for long without pain. I also haven’t had a checkup in a few years and I’m having back and shoulder pain from my desk job. It’s interesting how my body is teaching me to pay attention to it and stop overlooking simple care. If I don’t listen to the whispers of my body, it’s start screaming! I suffer from a similar pain in my right shoulder, and actually have to periodically change pillows in order to avoid it from happening. Consistently, though, I’ve found that exercising rids me of most of my regular muscular and joint pains. My spirit constantly seeks exercise, and I don’t give it enough. I also have a hard time relaxing in general, so that’s something I have to actively do in order to stay sane, as much as an oxymoron it is to actively relax! Love your glasses in this picture! 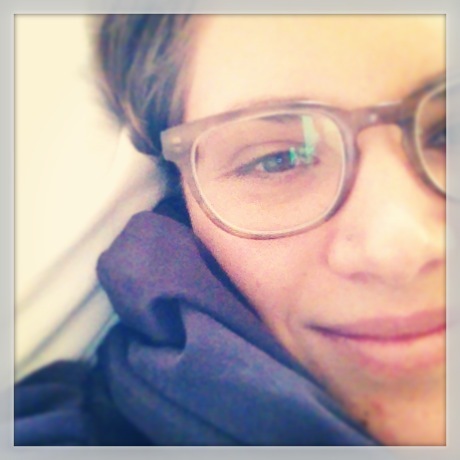 I think I remember you posting about Warby Parker in the past…is that what these are?